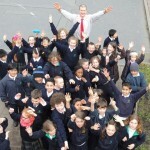 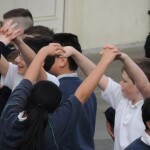 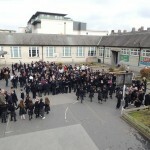 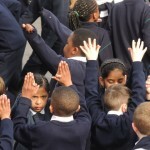 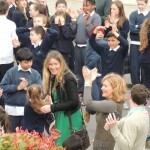 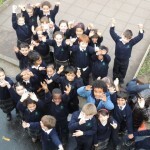 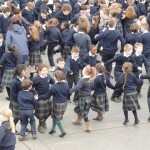 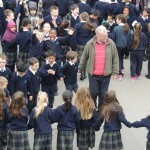 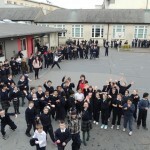 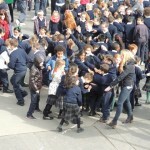 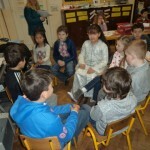 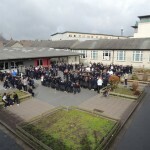 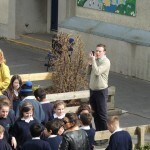 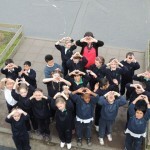 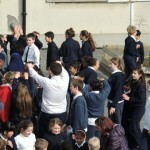 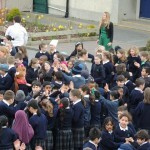 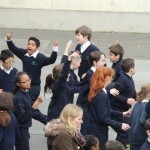 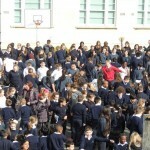 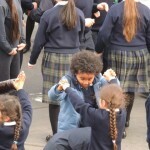 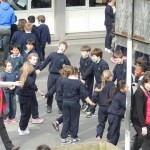 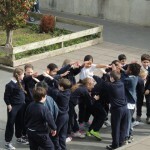 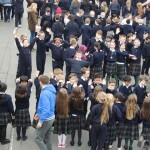 To celebrate Seachtain na Gaeilge we all went to the yard to take part in a ceilí mór. 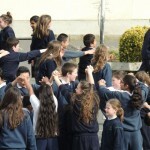 Mr. Mc Garrigle led us in our dances together. 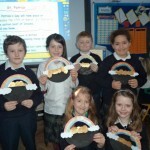 Happy St. Patrick’s Day from all the boys and girls in Room 1. 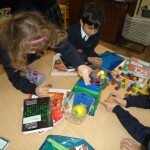 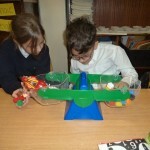 Room 1 had great fun using balances to compare the weights of different objects. 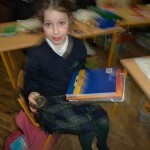 Louisa visited Room 1 for 6 weeks. 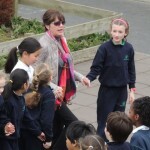 She spoke to us about our community. 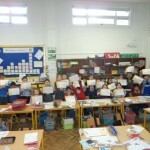 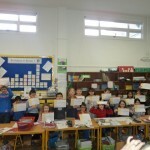 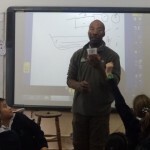 We really enjoyed taking part in all the different activities and learned a lot about workers and why workers are paid. 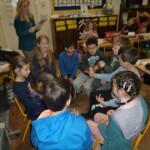 Room 2 had lots of fun during World Book Day. 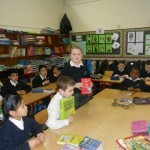 We all brought in our favourite books and showed our classmates. 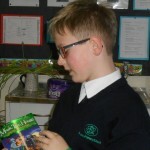 we told each other why we enjoyed certain books. 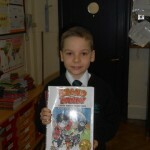 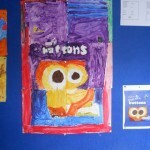 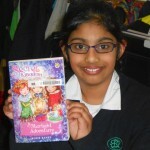 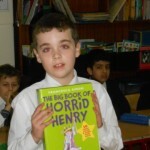 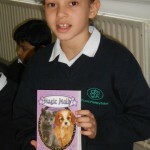 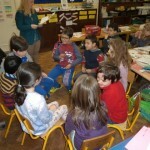 new also talked about famous authors such as David Walliams and Jeff Kinney. 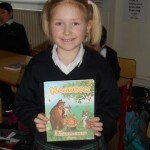 Anastasia brought in her favourite Russian book. 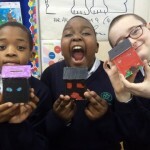 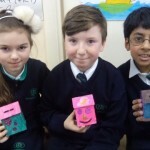 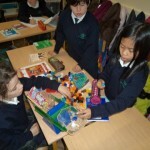 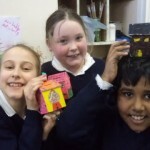 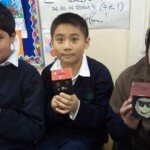 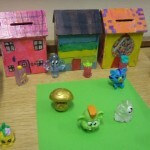 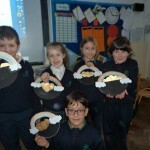 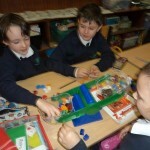 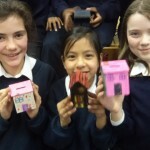 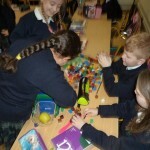 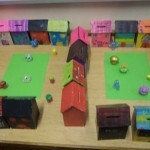 Room 9 – making their own money boxes! 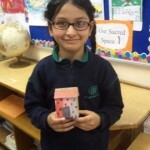 We had a great time designing and painting our moneyboxes. 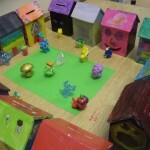 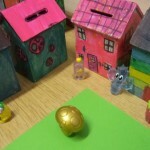 We made a little village in our room and some Moshi Monsters even moved in!! 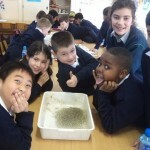 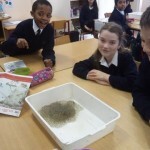 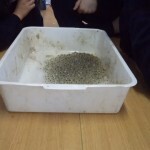 Room 9 had a lot of fun inspecting frogspawn and learning all about the life cycle of a frog. 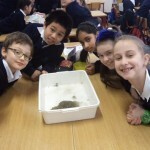 ‘Mouse’ is a wildlife expert so he was really careful not to damage the frogspawn. 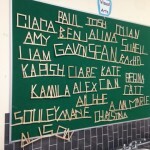 The pupils in Room 15 were constructing their own name using lollipop sticks. 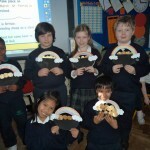 It took some time but they all turned out great! 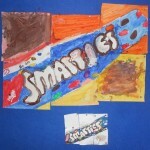 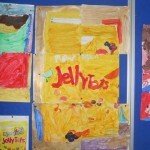 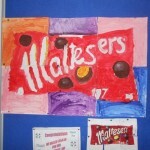 The boys and girls in Room 11 were very busy working together to create these fantastic pieces of pop art. 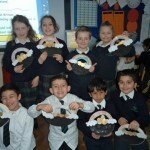 This week in Room 10 we learned all about The Chinese New Year! 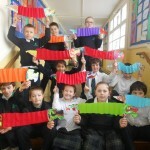 Did you know that the Chinese New Year was on February 19th and the celebrations last for 15 days! 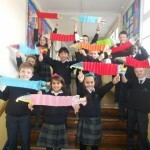 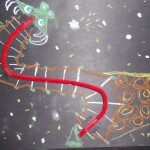 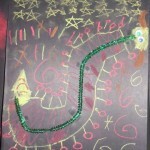 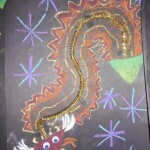 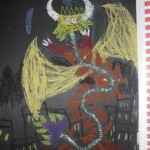 We made 2 types of Chinese New Year dragons! 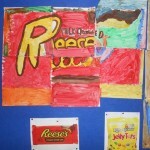 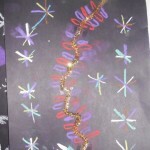 One using oil pastels and pipe cleaners, and we made the other one with lollipop sticks and crepe paper.